The RHA MA650 Wireless is doing a lot of things well. It’s a super-comfortable, performance workhorse that can easily become a daily driver for those who have a slightly more discerning ear for audio. With its sweat and splash damage resistance, it can even be a great workout companion. And while the price tag of Rs. 7,999 might seem steep, it’s a worthy ask for the quality you are getting. It’s definitely one of the best wireless IEMs in the market at the moment. RHA continues its industrial aesthetic with the MA650 Wireless. 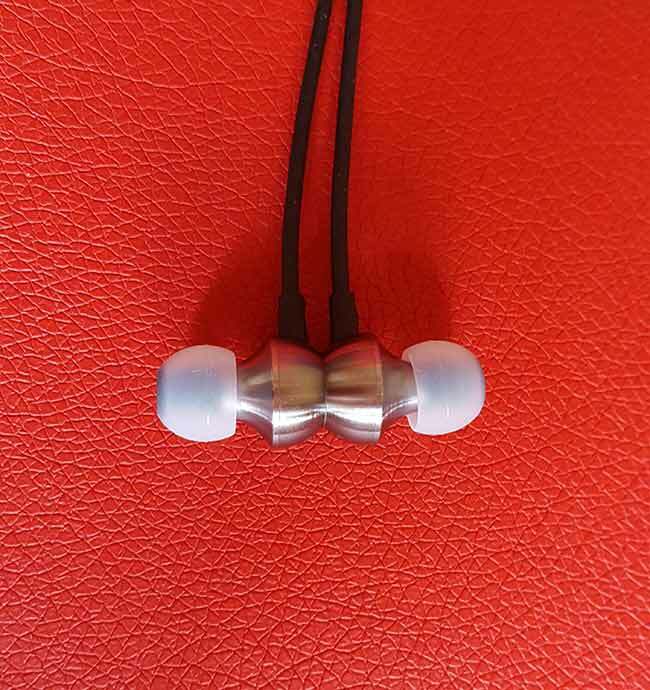 The headphones have a distinct “machined” look to them thanks to the metal body housings. And it’s no ordinary metal either, RHA has used aluminium 6063 alloy in the construction of these lightweight in-ears. While reviewing the RHA MA650 Wireless we also called for its elder sibling, the MA750 Wireless as a reference. When placed side by side, it’s pretty difficult to tell them apart. The 650’s buds have a slightly more angular look, while the 750 looks like a button cell sprouted silicon tips. The earbuds look equally nice when inserted in your ears or while magnetically stuck together when dangling around your neck. Now, moving on from the aesthetics, let’s talk a bit about the functional aspects of the MA650’s design. It features, what RHA calls, the “SecureFlex silicone band”. This band rests around your neck and terminates in cylindrical ends which carry the LED indicator, USB type-C port and power button on one side, and the NFC tag on the other. From these cylinders emerge the actual earbuds which are tethered via thin cables. The band takes away the weight of the battery from your ears and since it bends along the contours of your collar, you’ll hardly even feel it. The thin cable on the right carries the in-line control pod and microphone. One complaint about the buttons on the control pod is that while the middle play/pause button is nicely scalloped and therefore easy to feel for without looking, the volume buttons don’t have easily discernible tactile markers. Often you end up fumbling around with your fingers to get the volume up or down. Overall though the build quality feels sturdy and the silicone band, while seemingly cumbersome, is a good design decision. There's not a lot of scope to add additional "features" per se when designing a new product in a category like in-ear headphones. Sure, being wireless in itself is a feature, but once you've gone wireless, what else is there to do? You can't fault manufacturers for trying at least, even if some of those features end up becoming superfluous. Thankfully, the MA650 has a few tricks up its sleeves which are quite useful. Take for instance, the vibrate feature which enables the silicone band to vibrate to signal an incoming call. Now you won't miss an important call when your in-ears are not in your ear and dangling around your neck. The next feature, though not unique, is still nice to have. The RHA MA650 has voice prompts which tell the user about battery level. When you switch on the device or every time you hit the power button, a friendly voice will tell you how much battery is left like so: "Battery level below 80 per cent". The trouble is that it seems to work in slabs of 20 per cent so if you are down to your last 5 per cent you won't really know. The headphones also have NFC for easy pairing, but I just couldn't get it to work with any phone. I even tried factory resetting the headphones to make it work to no avail. It's likely I was doing something wrong and will update this review if I discover a quick fix to get it working. Another major irritant was not being able to change tracks by long-pressing the volume up/down button. Most Bluetooth headphones I’ve tried in the past seem to have this accessibility feature. Rounding off the list of features, you have the IPX4 splash resistance certification. In terms of bundled accessories, you get quite a few types and sizes of tips including comply and bi-flange tips. You also get a mesh pouch, though a hard case would’ve been better. After declaring the RHA MA750 Wireless the best performing wireless in-ears of 2017, we were naturally curious to find out if its younger sibling, the MA650, shared that same high-performance DNA. To put it succinctly, the MA650 doesn’t disappoint. Audio: To get a baseline for pure audio performance, we ran four tracks which are on the opposite ends of the rock genre quadrant. The first was Selkies: The Endless Obsession by Between the Buried and Me. The guitar layering on it sounded brilliant – just the right amount of crunch without sounding harsh. The softer leads were smooth and vibrant while the double bass drum fills too were hard-hitting as ever. Next we played Hotel California - Eagles, another classic for testing audio equipment. The starting bass notes and acoustic strumming sounded natural while the vocals were warm and upfront. The third track is something we primarily use for ascertaining percussions and tonal accuracy in the vocal space. Chris Rea’s Call On Me starts off with some nice drum rhythms and Rea’s velvety smooth vocals aren’t always rendered the way they are supposed to. But the MA650 was able to reproduce those raspy vocals quite well. The reverb on the drums too was faithfully reproduced without any noticeable roll off. Rounding off the first-play tracks is Metropolis Pt. 1 by Dream Theater. Since I’ve listened to this track so many times on devices like the Noble Audio Kaiser Encore and the Stax SRS-5100, I’ve become way too attuned to picking up minor flaws in presentation. And yet the MA650 didn’t sound bad at all. It did get a bit too sibilant at times but overall it tackled instrument density and complex layering like a true champ. I had my Jaybird X2s at hand to do a few quick A-B tests, and grudgingly, I have to admit the MA650 is the more accurate headphone of the two. I say grudgingly because towards the end of 2015 we had declared the Jaybird X2, the best sports-oriented wireless IEM you can buy. It’s crazy that a headphone costing Rs. 8k can belt out better pure audio performance than something which cost exactly twice that (at launch). We also took the in-ears through a series of listening scenarios and music genres, for instance with streamed audio in environments with different kinds of ambient noise levels. As it turns out, the MA650 can pretty much handle any genre you throw at it. Tracks like Jason Derulo - Wiggle or Jay-Z & Linkin Park - Numb/Encore with exaggerated bass notes will leave you pining for a little more low-end accentuation but realistic tracks like Martin Garrix - So Far Away or Mark Ronson/Bruno Mars - Uptown Funk, sound punchy enough. As for soundstaging, the MA650’s presentation is quite ambient. I played performances such as Steven Wilson - Luminol (live) from the Get All You Deserve Blu-Ray and Watchmaker (live in Frankfurt). Both tracks sounded super atmospheric. 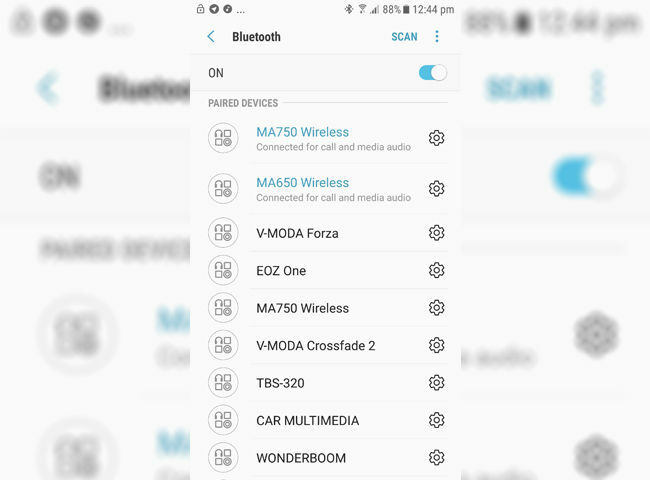 In our test scenarios, we used three source devices, namely, the Samsung Galaxy S6 Edge, Moto Z2 Play, the good old Nexus 5 and a Tewtross aptX compatible optical-to-Bluetooth receiver connected to an Asus Xonar Essence STX sound card. To know more about our general IEM testing process, you can click here. Strangely, amongst the phones, Bluetooth audio sounded the best on the Moto Z2 Play. Anyway, after much-varied listening, the sound signature can be pegged to be on the brighter side – a curve that’s pretty much flat at the lower end with a smooth gradual bump towards the highs. So does the MA650 Wireless underperform in any area at all? And how does it fare against the MA750 Wireless? If I had to nitpick, I'd say the vocals sound a little too upfront on the MA650 and instruments like cymbals or the triangle sound a little too sparkly. However, this does have a flipside – it works out very well for certain genres like Jazz. The two areas where the MA750 Wireless bests the MA650, are dynamic range and bass attack. The former can easily be experienced in tracks like Money by Pink Floyd or one of my old favourites Mindstreet by MotherJane (from the Maktub album). If you get a chance, stream this track, and at around the 40-second mark, you’ll notice a few barely audible whispered words played on the left channel. While discernable on both devices, those whispered parts sound more natural and noticeable on the MA750. Better bass accuracy, dynamic range and a fuller midrange make the MA750 sound more refined and full-bodied. But now we’re getting into dangerously nebulous Audiophile territory… Overall I’d say the audio performance of the RHA MA650 Wireless is superb, barring a few minor blemishes here and there. Comfort, fit and isolation: Although the MA650 Wireless in-ears don’t have the firm memory-wire type ear hooks which the MA750 sport, they do fit securely nonetheless. Using the right-sized tips and normal insertion depth, these in-ears won’t budge even with high impact activities such as running, sprinting or skipping. 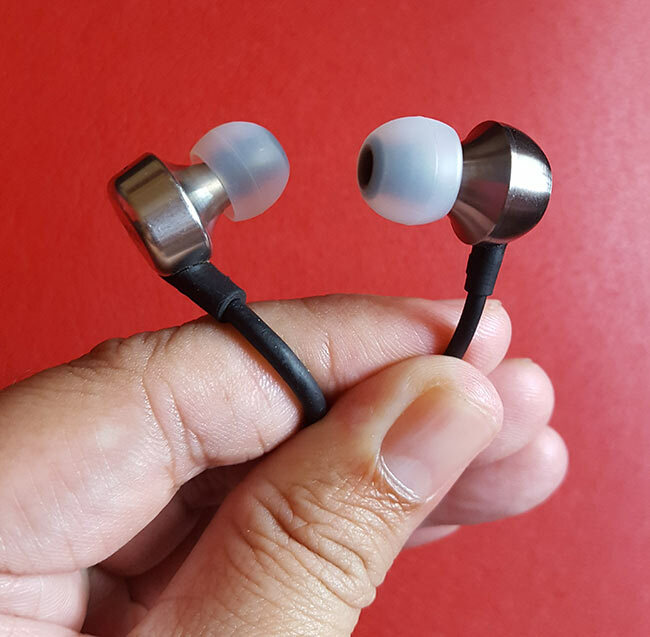 Speaking of active lifestyles, the MA650, while it doesn’t have the look of a sports-focused in-ear, the IPX4 rating means that it’s resistant to sweat and splashes of water, so you can pretty much use it in any scenario. Transferring the weight of the battery and other circuitry onto the chunky neckband makes this otherwise featherweight in-ears supremely comfortable. In fact, the main reason why the earbuds won’t dislodge from your ears very easily is that they are so damn light. It’s almost like wearing nothing. One of our major concerns was whether the silicon band would bounce and create cord harmonics during high intensity running. But because the silicone band is soft and flexible, it doesn’t really bounce. Coming to isolation, the ability to block ambient noise is a little less compared to the MA750 or Jaybird X2, but it’s still sufficient. Call quality / Mic quality: No complaints here. The position of the mic, as well as its ability to pick up audio, was great. We took a few recorded samples as well as tested it while making day-to-day calls. The quality is what you’d expect. Battery life: As with other Bluetooth in-ears, we charged the headphone to 100 per cent and ran Centuries - Fall Out Boy on loop till the battery died out. The volume was kept at 65 per cent (which on the RHA MA650 Wireless is on the louder side) and the distance was about 1 meter. The headphones lasted a sum total of 10 hours and 42 minutes. This is less than the claimed battery life of 12 hours, yet it’s more than enough to last you over two days of normal listening. Connectivity: The RHA MA650 Wireless is absolutely brilliant at signal reception and connectivity. Even if you move quite a distance away from your source, the MA650 continues to deliver stutter-free playback. The signal even managed to penetrate a brick wall. If you are in a compact home or gym, you could easily leave your phone at one end and move about freely without losing signal. It’s one of the best performers we’ve seen when it comes to connectivity. 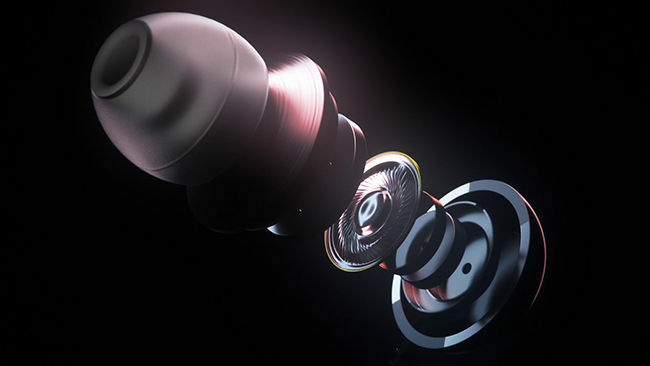 The RHA MA650 Wireless has a lot of things going for it: great features such as IPX4 water resistance, lightweight yet sturdy construction, and top-tier audio performance for a non-top tier price. 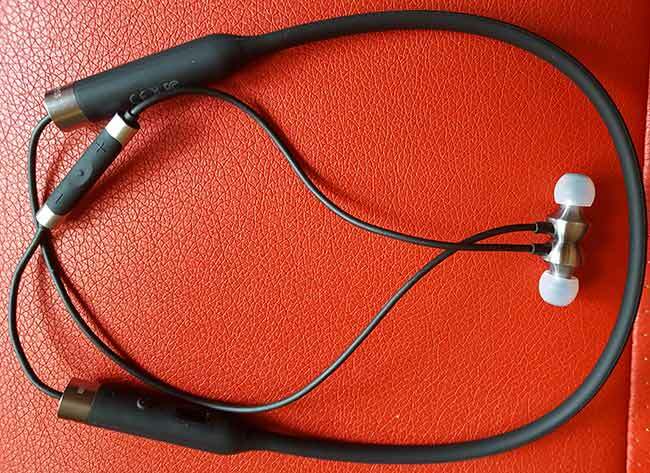 In a nutshell, the RHA MA650 is one of the best Bluetooth in-ear headphones out there. The price point of Rs. 7,999 puts it slightly out of reach for budget-conscious buyers. But if you want to take your first intrepid steps into the world of high-quality wireless audio, you couldn’t go wrong stretching your budget for the MA650.